Thrid Game Maker created thing at Goo Fans! Actually, second, it was supposed to be published very long ago. Whats the point of this thing? Very long ago? Before Platforms of Goo? Yep. Back in Jun 16, 2010. But I was on Linux, and couldn't test it, and nobody else did, either. Sorry again, momo. Linux version of Game Maker's game? HEY! Can someone tell me whats the exit for this thing?! Probably the big red X button in the upper right corner. No, I don't think there's a specific goal or exit for the game; it's just for fun. You know, I have a prototype somewhere of a game I was making called Goo Bounce! It seems kind of similar to this one, but thee are obstacles and a goal and stuff, and it's made in Flash. If there is no finish then there is no point for this thing. I'm sure it's made with game maker. Oh,friends!How do I use WOG Editor? Make a new forum topic. Gosh just get one then. Then just use your Facebook account or Google account. It takes only a minute or so to sign up for an email on any domain, anyway. I prefer gmail, personally. And who cares? Are they really going to check if you own a Google account? That sounds impossible, unless they already knew about it. I remember you, billy. Yeah, you can't do much on the net without an email! 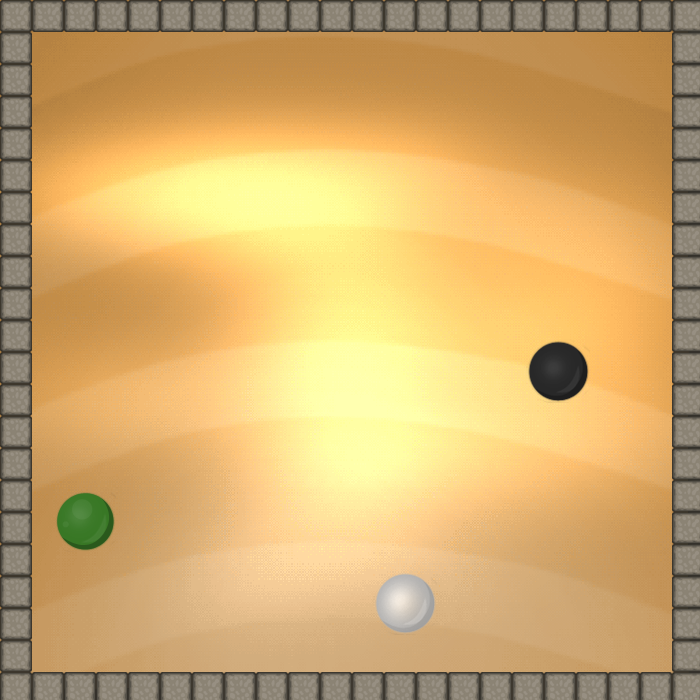 2: It is just 3 balls bouncing and you have a fun by disrupting them. 3: There is no level exit. Even there would be exit it would be that you need to destroy all 3 balls by pushing them to each other but you can only get 2 balls in the time. So I would say to put in 4 balls or there is no point of it (Soon people are going to make lots of games by Game maker that some of them are actually spams). Wiki please just shut up, I will just go ahead and say say it: YOU ARE MORE ANNOYING THAN GOOEY GOO (no offense too gooey). Notice how you are the only one who called this spam? You know, your constant critisism is really getting on my nerves. This minigame has been up for a long time now, and as said previously, this is just for fun! Plus, if you had ever tried to upload anything other than goomods, you would know David has to approve it. Not to mention mods would never allow spam onto this site. I think I got my point across: wiki stop trying to challenge people, because I for one do not want your opinion since you've never truly helped here, Mr. "Future Moderator". If you do not stop, I swear I will flame you until you become a mod, i.e. never. @Wiki: This isn't a level. This is a minigame he created with Game Maker. It follows the World of Goo theme which is why it was published. It's not supposed to be opened with World of Goo, which is why there's no exit or anything that World of Goo would recognize. It's an executable file, meaning you click the file in the OS rather than World of Goo. Need any more redundant explaining? You You GAMES! Game maker!